1. Awareness – I work with you to help you recognize your uniqueness and value to acknowledge that you have the power to change your life. 2. 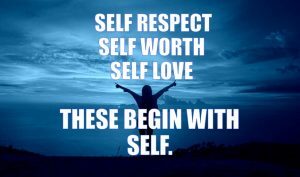 Self-Acceptance – When you accept that you have value, you will treat yourself with respect and will be motivated to achieve your goals. 3. Personal Power- When you believe in your abilities and yourself, you will know that you can accomplish your goals an tasks. 4. Self-Responsibility – I help you to believe in your ability. When you do, you know you can take responsibility for yourself – your self-esteem, relationships, success and happiness. You stop being a victim. 5. Transformation – I provide an environment of encouragement and positive reinforcement while holding you accountable to yourself and your goals to help you make the shift to high self-esteem. 6. Purpose – When you have high self-esteem, you will set goals and pursue them confidently to achieve them.